Select Product, add to cart. Item in cart, continue with purchase. Su producto en carrito, ir a caja. Details of purchase onscreen, go to payment. Create A Tres Puntos account. 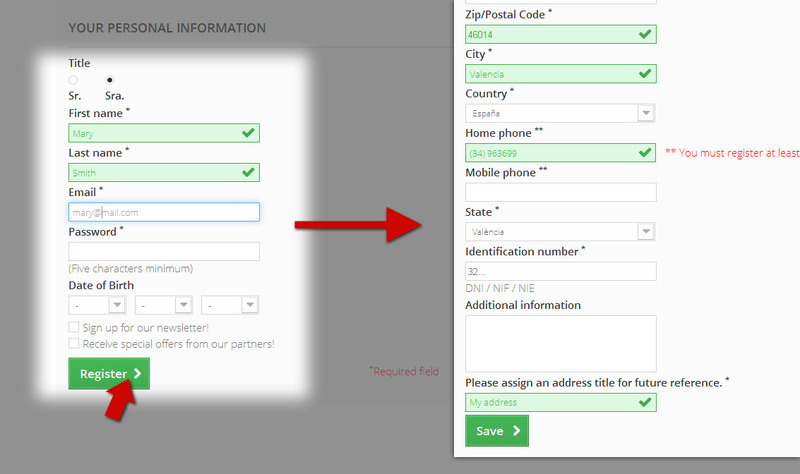 Enter delivery address for receiving products. 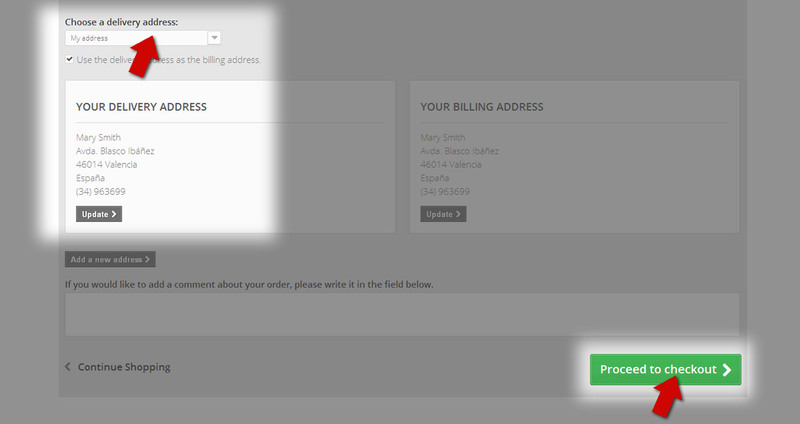 Select delivery type and accept general conditions.